Privet! (Hello!) My name is Sergey, and I am the owner of Lingua Airlines. I’d like to take a few minutes to tell you about my company and why I started it. I live in Moscow (just 2 miles away from Red Square!). Sometimes, I jog there in the morning. You must come and see it one day. It’s so beautiful! In the past, I studied English in several ways: I took group classes, I studied by myself, and I studied with a private tutor. What I noticed is that I learned much better and faster when I took private classes. The reasons were simple enough. 1) The private tutor devoted 100% of his attention to me, so I didn’t have to share any class time. 2) My tutor was an amazing teacher. It was a winning combination! When I started studying, my tutor gave me two options for taking classes. The first was for him to come to my home (the drawback here was that the classes were more expensive). The other option was for me to go to him (these classes were cheaper). Since I was short on rubles at the time, I chose the second option. Although his classes were great, I started hating the commute from day one. It took me 40 minutes (I had to take the subway and then the bus) to get to the part of Moscow where he lived. Plus, it took another 40 minutes to get home. Taking the subway in Moscow is a kind of sport: First, you have to count on missing the first few because there is no room in them. Then, when you get lucky, you jump on (don’t worry because the people behind you who are waiting to get on too will kindly help you in with their arms and elbows). Don’t forget to say «spasibo»! (thanks!). After this, Voila’! You are in! Now you have nothing to do but stand still and feel other people’s body parts for 30-40 minutes (some people find it pleasant). Then, when it’s your stop, you get to push your way through everyone as you make your way out. I love sports, but I prefer other ones :). So, this got me thinking and I asked my tutor if he would give me lessons online, using Skype. At that time, my parents lived in a city near Moscow. It’s located just 1000 km away (believe me, that’s considered close in Russia). However, I wasn’t able to make the trip every weekend. When I couldn’t, I would talk to them via Skype. 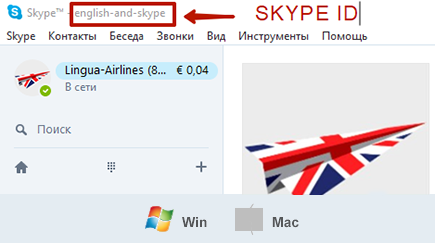 I figured, why can’t I use Skype to study English? 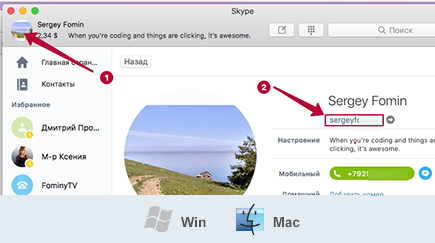 At first, the tutor was hesitant because he thought he’d have to spend a lot of time learning how to use Skype. But I told him not to worry because it was simple, and I would show him. I told him that if he gave me lessons over Skype, I’d still pay him the same as I had for in-person classes. Plus, he wouldn’t have to worry about cleaning his apartment before I came over each time. After thinking it over, he agreed. After that, I showed him how to deliver files, write in the chat, share his screen, and use online books. It only took about 20 minutes. From then on out, we never ever studied offline. All our classes were on Skype, and they were every bit as effective as those we’d had face-to-face. After some time, I had another thought. I realized that long, miserable commutes weren’t just my problem. They were everyone’s problem! 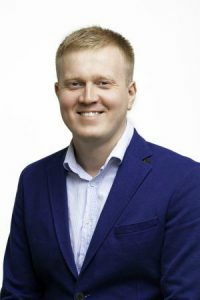 So, within two months (in September 2010) I hired my first five tutors (3 Russian teachers and two native speakers) and launched a website lingua-airlines.ru. At first, I was very skeptical that anyone would buy lessons from a tutor that lived in another city or country. Especially since all they could see was a short profile about the teacher that was posted on an unknown website. But, I was wrong. To my surprise, someone bought lessons the very day that I launched the site. I was as happy as a Russian bear who just woke up after the winter and found his first honey in a bee-hive! However, there was still a lot of work to be done. I then had to do a lot of advertising, hire great managers, and find more excellent tutors. The biggest problem though, turned out to be finding great tutors. Finding an excellent tutor is like searching for a lost man in millions of square kilometers of snowy Siberia! It’s really, really hard! At first, I felt really disappointed because many of the applicants didn’t even know simple grammar rules. But, as we say in Russia, “One can’t catch even a small fish in a pond without putting forth some effort.” And so we put forth a lot of effort to find our tutors, and we only catch great fish! You might be wondering though, just how great are these fish? Well, to put it bluntly, for every 100 applications, we usually hire just one of those teachers. Nowadays, we have about 100 tutors (counting both Russian and native tutors) and about 1,000 students. Both our tutors and students have told us how much they like working with us. The company is growing every day and we’ve got big plans for the future. We’re going to expand as much as possible because we truly believe that learning English online is the best and most convenient way. So, if you think you have what it takes and you want to join our team — “Dobro pozhalovat’! ” (“Welcome”)!